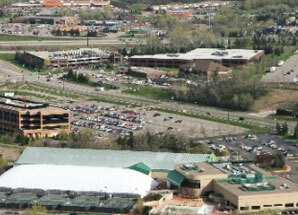 The Eden Prairie Chamber of Commerce, founded in 1969, is a business organization. As the Eden Prairie connection to business and community, we offer various programs, volunteer opportunities and experiences for chamber members and Eden Prairie citizens and students. Getting involved is the number one way to make the most of your chamber membership. This section will help you learn how our organization is set up, and which areas of involvement will be the most beneficial for your business. Our Board of Directors and Staff work hard to make the Eden Prairie Chamber what it is. For more information about the Board of Directors and a convenient Staff Directory, click here. The Chamber provides over 125 networking opportunities annually. Learn which ones will be best for you. We take great interest in staying abreast of proposed and active public policies, and lobbying for policies that serve the interest of chamber members. Learn more about the elected officials who serve Eden Prairie and the work of our Public Policy Committee. We offer all-inclusive international group travel to anyone who is interested. Learn about upcoming and future trips.